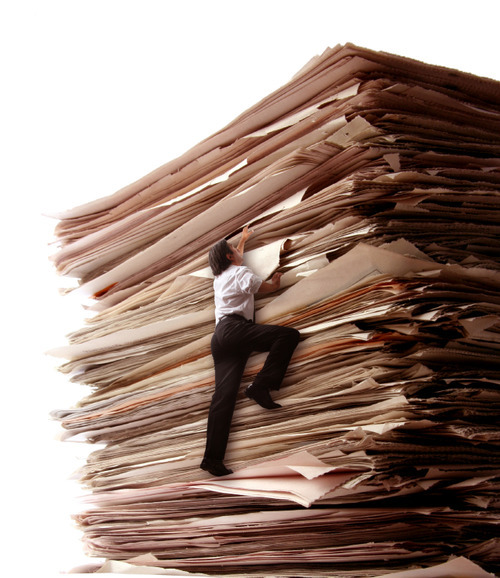 We used to hear a lot about the paperless office. Remember that? Back then we printed reports, filled out forms by hand, sent memos and shopped from catalogs and cursed junk mail. We used paper for pictures and greeting cards and other things we loved, too, but it was still a hassle sometimes. When the early days of the internet showed us a glimpse of a better way, we jumped at the idea. That idea’s time has come. We now do business over email (or better), buy things online, download tickets to our phones, share pictures on screens and store them in the cloud. Computers may have spawned even more paper during their “terrible twos,” but that’s pretty clearly over. We can debate whether trading less paper for more energy is a net win for the environment, but it’s largely academic. We do need more sustainable energy, but we’re not going to give up technology and fire up the pulp mills again. That paper boat has sailed. The part that interests me is the public awareness. For a while, tons of ink was spilled (onto paper!) heralding the arrival of the paperless office. Society didn’t quite cooperate, though, and the press gradually turned to other topics, looking back with scorn in year end top ten lists and “where are they now” pieces until the very phrase “paperless office” became a joke. This pattern isn’t unique to the paperless office, of course. Predicting the future is fraught in general, but predicting slow societial shifts is especially thankless. Even if you agree on the criteria, it usually takes a generation or more to see if you were right. Not many people have attention spans that long. I know I don’t. Fortunately, people smarter than me are thinking about this too. The Long Now Foundation is one of my favorites. They encourage people to think on the scale of millenia, and they put their money where their mouth is with projects like Long Bets and the 10,000 Year Clock. They’re doing great work. As for the paperless office, I’m writing this on a computer, you’re reading it on one, and if you know me, the last time we interacted was probably on a computer too. Like most societal shifts, it doesn’t matter too much if anyone noticed that the paperless office arrived, or how long it took. The important part is that it’s here. Wow, timely for me–since we just deconstructed our public school staff union’s Saturday phone tree “drill” (no kidding). Had to do this because we did such an uneven job of following written directions. Yikes! Like rusty cogs, the process…and from a staff aged 20’s to 60’s. Polling yielded a majority of folks who a) get/respond to time-sensitive texts more quickly than by other means and b) didn’t follow procedure because…well…why? Side discussion about personal tech backlash ensued (who has opted out of FB? who has deactivated cellphones and kept landlines? whose opt-out of the phone tree via text message wasn’t received by a line captain without cellphone or landline?). I didn’t get the memo on that I guess. Did it really arrive? certainly not here in the UK, in fact i would say its further away than ever. The costs of printing has got cheaper and cheaper leading to more and more wasted paper. Paper cluttering up the offices of businesses.